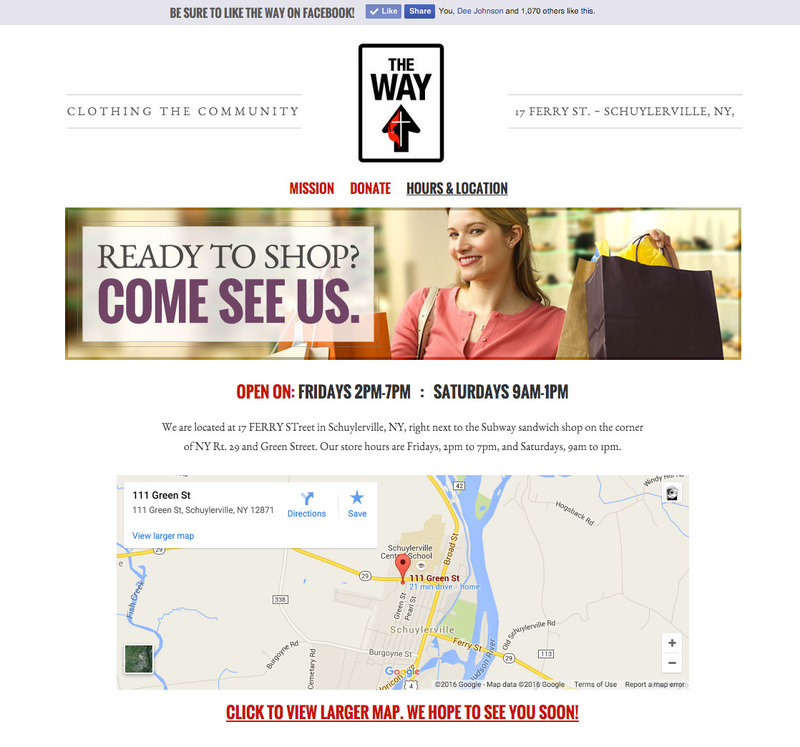 Founded by the Schuylerville United Methodist Church, The Way is a charitable retail store that invests proceeds from every sale back into the community. 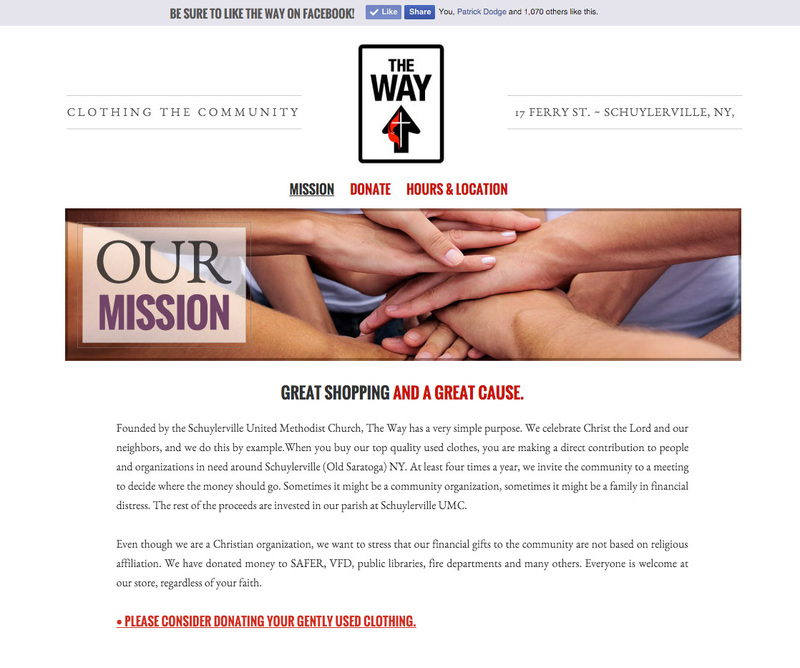 They needed a website where they could describe their mission, offer directions, and ask for donations. The store was modeled after similar successful enterprises in upstate New York. 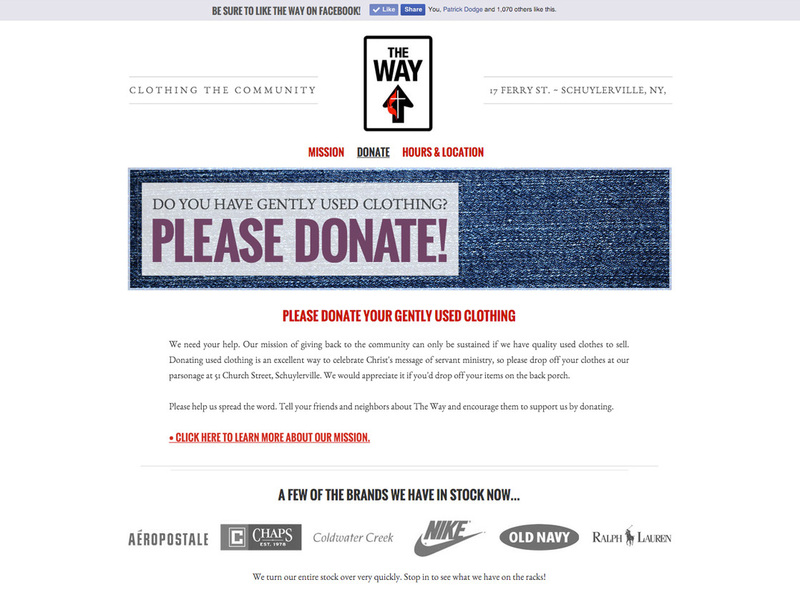 We wanted to emphasize that the Way was not selling someone else’s throw-aways. 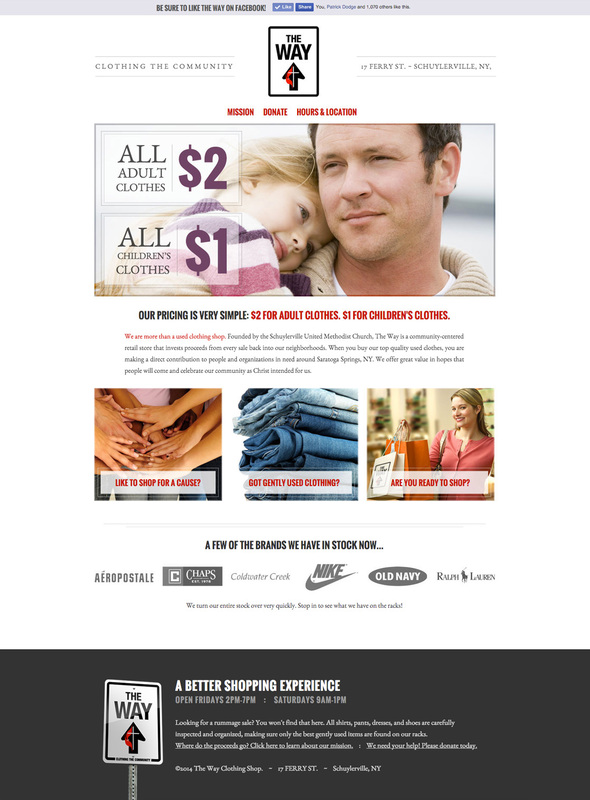 The store accepts only high quality, gently used clothing for resale, and our task was to develop a website that reflected their focus on quality goods. This project included on-page search engine optimization (SEO), design, and website development. We designed a simple, yet elegant website that accomplished all of the client’s objectives, directing the user to each critical and actionable page to help satisfy the mission’s goals.